In August, Georgia Tech's Facilities Management, one of the largest units on campus, was recognized for achieving the APPA Award for Excellence. This award is considered one of the greatest industry accomplishments in the higher education facilities industry and celebrates comprehensive achievements in efficiency, leadership, customer focus, and innovative practices. "This award is the culmination of years of hard work and continuous improvement; it could not have been won without the dedication of each and every employee on our team,” said Vice President of Facilities Management Chuck Rhode. “I am very proud of our staff." The Facilities Management team is made up of 535 staff members across 13 departments. The Award for Excellence highlights the essential role of facilities operations in the overall institutional mission. 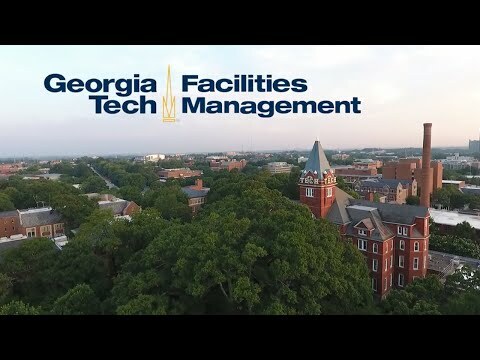 Georgia Tech's Facilities Management unit oversees the design, construction, operation, maintenance, and renovation of all of the built, naturalized, and landscaped environments of Tech’s campus, which spans more than 400 acres in Midtown Atlanta. This oversight includes responsibilities such as ensuring the safe and reliable distribution of utilities, operation and cleaning of buildings, laboratory and occupational safety, and waste and recycling management. Award submissions are assessed in the areas of leadership; strategic and operational planning; customer focus; information and analysis; development and management of human resources; process management; and performance results. In addition to a comprehensive application package, the review process includes industry committee input, as well as a site visit and stakeholder interviews. The Award for Excellence designation is valid for a period of five years.